Did you know there is another way to save money on health care costs aside from health insurance? Florida’s leading urgent care center offers our UMC membership plan providing medical savings to families, businesses and individuals. Sports injuries, playground accidents and the common flu bring kids into urgent care all of the time. There are so many instances when kids get injured or sick and need to see a doctor as soon as possible but don’t warrant the seriousness associated with visiting the ER. While your family may have a regular care physician it can take days or even weeks to get an appointment with your doctor. If you need more immediate medical attention Urgent Medical Center is the perfect option. Kids are exposed on average to at least 3 or 4 illnesses a year, add this with the potential for injury out on the playground and you could end up at urgent care more than a few times in only one year. It’s not just kids we see all of the time. If you work in an industry where you are commonly exposed to illness, for instance if you are a school teacher or work in any crowded environment, you will be checking in at urgent care more often as well. Urgent Medical Center provides more than just treatment for illness and injury. 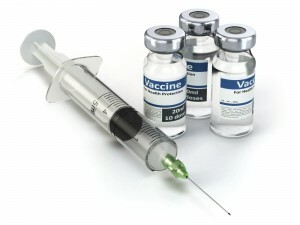 We also provide vaccinations and regular exams for work, school and so forth. Our UMC Membership allows you to save more money on healthcare costs than insurance alone. Our goal is to keep all Plantation residents healthy and happy while also making your life easier and more affordable. Hence why we created the UMC Membership program. Our affordable membership offers free and half-priced urgent care services for individuals, families and businesses. This is NOT an insurance plan, but it is an additional way to protect you against future medical costs as well as save money. How Much Does A UMC Membership Plan Cost? What Does UMC Membership Offer? Unlimited visits with our medical professionals. All annual lab work including complete blood count, chemistry and lipid profile. 50% off in-office procedures including Digital X-rays, EKGs, laceration repairs, incision and drainage of abscesses, casting, and more. 20% of all lab services. 1 free physical examination each year. Same day or next day specialty referrals including CT scans, MRIs and Ultrasounds. Discounted prices on MRIs, ultrasounds and CT scan. How Much Does Average Family Pay For Healthcare Costs Annually? Urgent Medical Center is always going to cost less money than a trip to the emergency room, that’s why it’s so important to know where you need to go so that you don’t waste money. If you are not facing a life-threatening situation it is usually better and more affordable to visit your local urgent care. In all non-life-threatening cases Urgent Medical Center will take care of your needs faster and for less money than your local ER. But, if your injury is life threatening or requires staying under doctor care overnight you will need to go to the ER. Having troubles deciding where you need to go? Simply give our friendly office staff a call and they will help guide you in the right direction. Regardless if you are a UMC member or not, Plantation’s Urgent Medical Center is here to provide reliable treatment for injuries and illness, affordable clinical services and more.